The SEC received several emails warning them of Bernie Madoff's shenanigans. Before his downfall in an alleged fraud that may end up costing investors $50 billion, Wall Street money manager Bernard L. Madoff circulated a promotional message extolling his service to clients. "Customers know that Bernard Madoff has a personal interest in maintaining the unblemished record of value, fair-dealing and high ethical standards that has always been the firm's hallmark," Madoff proclaimed in a brochure designed to drum up more business. 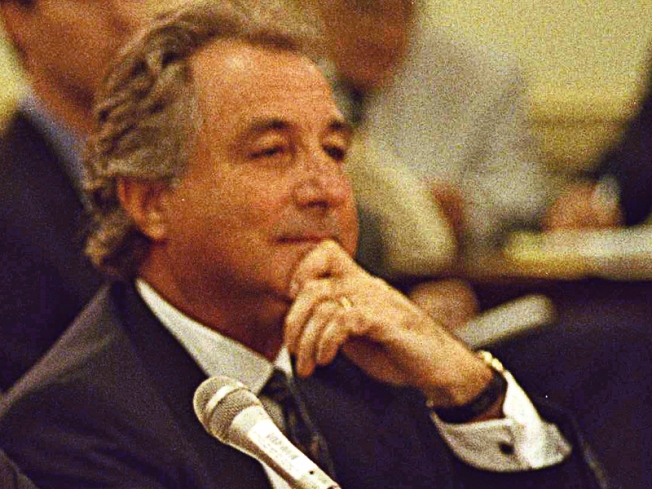 The brochure called attention to the high-tech trading side of his business that was supposedly honestly run and legitimate, but it also offers a glimpse of why the Securities and Exchange Commission was unable to stop Madoff in his tracks despite repeated warnings. As financial markets have grown increasingly complicated — which was the case with this part of Madoff's operation — the SEC has struggled to keep up with the changes. The circumstance of this relatively tiny bureaucracy — 3,567 employees including clerical workers — is that of an agency overwhelmed. "It's not a 21st century institution; they're all living on their past glory, which was great, but it's gone," said Isaac Hunt, an agency commissioner from 1996 to 2002. One small slice of the SEC's responsibilities is to regulate the industry's 10,800 financial advisers, one of whom was Madoff. The agency was warned several times of possible fraud going on at Madoff's operation — including a series of e-mails from a Massachusetts whistleblower that now seem quite prophetic — but nothing happened. This is not at all surprising to those who have worked at the SEC, where information overload is a fact of life. "You get hundreds and hundreds of letters and e-mails; there's no guarantee the SEC is going to catch" any given wrongdoer, said former commissioner Laura Unger. That said, Unger made clear, there are no excuses. A year ago, a report by the Senate Finance Committee's Republican staff spelled out the SEC's problems. Lightly regulated hedge funds under pressure to deliver extraordinary returns and increased use of complex trading strategies all present new opportunities to profit from, and hide, unlawful activity, the Senate report stated. The question in the Madoff case that is most troubling for the SEC is whether the agency had grown too close to one of the financial world's big names. —The insider trading investigation of hedge fund Pequot Capital Management, in which SEC enforcement officials rejected a staff attorney's request to interview John Mack, now Morgan Stanley's chief executive officer. The investigation started in late 2004 but SEC staff didn't interview Mack until mid-2006, after allegations by the staff attorney of inappropriate deference to Mack in the probe became public. The staff attorney was fired in 2005. The investigation was closed in December 2006; the SEC took no enforcement action. Mack and Pequot Capital have denied any wrongdoing. —Lax SEC oversight, according to the agency inspector general, of the five biggest investment firms — including Bear Stearns, which nearly collapsed into bankruptcy. The voluntary oversight program was considered so ineffective that the agency killed it in September. "We have a good deal of comfort about the capital cushions at these firms at the moment," SEC chairman Christopher Cox said in March a few days before the Federal Reserve and the Treasury Department arranged a rescue of Bear Stearns. —The failure of the SEC's Miami office to take action against Bear Stearns in its pricing of about $63 million in collateralized debt obligations, also cited by the inspector general. CDOs are one of the financial instruments that fueled this year's global financial meltdown. —The rebuff of a whistleblower's complaints by the agency's Boston office about mutual fund trading abuses, in a case that led the head of the office to resign in 2003. The whistleblower, Peter Scannell, got a more sympathetic hearing from Massachusetts regulators, who acted on his disclosures about fund giant Putnam Investments, where he worked. Enforcement actions against the firm eventually were brought by both the state regulators and the SEC. It was to the SEC's Boston office that Harry Markopolos, a securities industry executive, brought his allegations about improprieties in Madoff's business starting in 1999. Markopolos continued to sound the alarm through this decade; the regulators never acted. He determined there was no way Madoff could have been making the consistent returns using the trading strategy he relied on. Nothing came of the complaint by Markopolos, who fruitlessly pursued the matter for nine years with the SEC from Boston to New York to Washington, D.C. The Madoff case "is so bad with so many obvious clues that yes, we have to wonder, do we have New York and Boston offices that were in just horrible shape and if so, how bad is it everywhere else?" said Hunt. SEC chairman-designate Mary Schapiro, chosen Thursday by President-elect Barack Obama, must get a group of "bulldogs" to find out what every SEC office is doing, Hunt added.